Across the commercial real estate (CRE) landscape a human centric design ethos is emerging. For technology to play an important part it will need to show how it can add value to an office space, and do it at scale. One interesting test bed I like to look to for innovation is the home. You will no doubt have experienced, as our kitchens, bedrooms and living rooms have come to life with voice and phone activated gadgetry, that the home is actually the leading space for in-building smart technology and as a result there is much CRE landlords can learn from the successes (and failures) in this arena. This year’s CES exhibition in Las Vegas was a smorgasbord of cutting edge tech applied to the home. AI and ‘intelligent’ were omnipresent prefixes- attached to all manner of household appliance: AI vacuums, intelligent toilets, IoT handles. Curiously amongst the robots, drones and self driving cars it was the humble TV that shone the brightest. LG’s launch of the world’s first rollable TV (a 65 inch screen that can be stored out of sight and yes was AI driven) confirmed all sceptics’ beliefs that the TV is still king in the court of the household appliance. 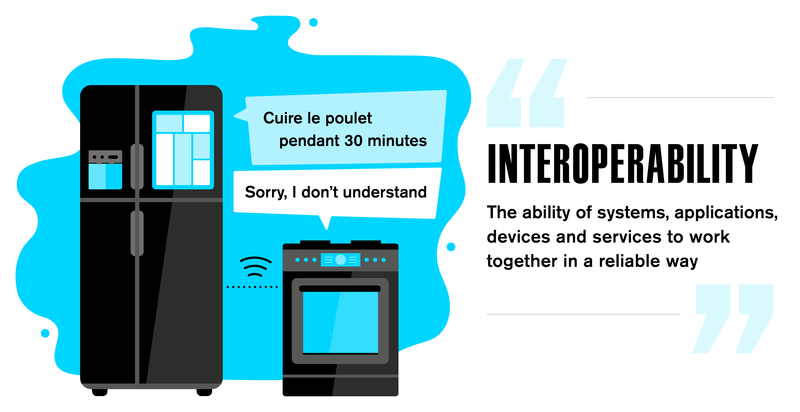 Is a talking fridge valuable if it can’t communicate with the oven? Seeing the adoption battle play out is telling for where the big tech companies see the future. Before mass adoption takes place a lot of work needs to be done; consumers will expect seamless interactions between their favourite devices. Acquiring a new recipe from our smart kitchen screen and picking it back up later as we drive to the supermarket will become the norm. It is evident that interoperability needs to become a key focus for intelligent systems to prevent fragmentation of smart tech. Interoperability is the ability of systems, applications, devices and services to work together in a reliable way. Manufacturers are already preparing their products by developing hardware that builds into the core ecosystems of Google, Amazon and Apple. It’s possible as smart tech becomes less fragmented we will end up with one large service provider that runs our smart home - maybe a home ‘powered by’ Amazon. This is an exciting future but clear barriers exist preventing this level of connectedness to reach office space. The first is that a large service provider that offers standardised IoT integration and delivers bespoke solutions for smart office doesn’t yet exist. Commercial IoT products are usually standalone systems for heating, lighting etc. 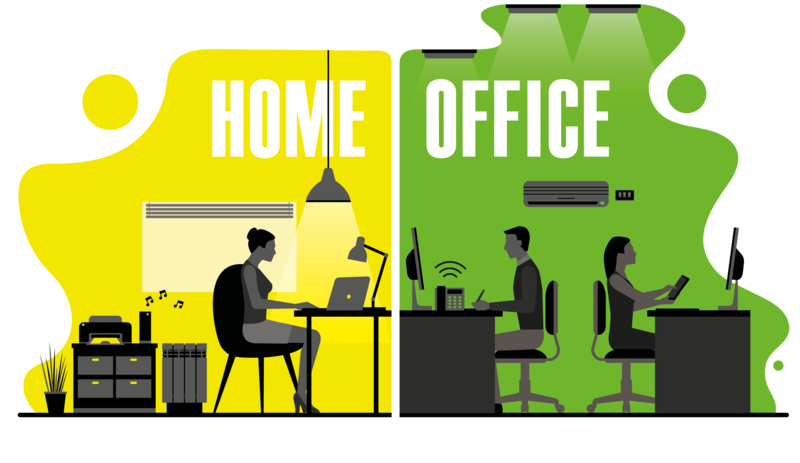 The commercial world should look out for the likes of Amazon, Apple and Google transitioning from the home into the office. The second is that network security in the workplace has different challenges from network security at home. Office IT teams work round the clock to ensure routers, firewalls, switches and core infrastructure are secured, updated and patched. Currently the perception of IoT devices is that they bring increased security risks that could become leverage points for people to attack. It’s clear that smart technology has gained significant momentum in the home. As landlords try and meet the modern tenants’ requirements for smart buildings they will observe increasing demands made on their buildings’ digital infrastructure. Now is the perfect time for landlords to create work environments that attract the highest quality tenants by better managing the smart provisions in an office. The home has become the leading space for smart technology as we see our kitchens, bedrooms and living rooms come to life with the latest smart gadgets. Homes are the obvious testing ground for new tech as they are smaller scale and easier to implement. Given CRE’s push towards creating more human focused spaces, what can landlords learn from this in-home tech boom? It goes without saying that providing sensors is the first step for a functioning smart building but landlords should prioritise understanding how to use the workspace they offer as a measurement for smart office tech. For the future development of a building’s IoT success a robust interoperability strategy is fundamental. Landlords should be demonstrating that they are cyber thoughtful as they integrate more and more devices into their own building for operational efficiency. Understand the resiliency of a property’s digital infrastructure. Investment in diverse communications infrastructure will ensure that the user experience isn't jeopardised by a cut cable. User experience must be the focal point to base smart office solutions upon. The space as a service model is gaining traction in commercial real estate thanks to changing human-centred styles of work. Now tenants care about productivity levels, flexible working resources and employee wellness. The building must reflect these values by providing space that caters to every single person who enters the building.